Martinhal Beach Resort & Martinhal Beach Hotel in the Algarve, is one of the best luxury family resorts in Europe. Martinhal Beach Resort is positioned within a natural park near the historic fishing port of Sagres. Martinhal is where luxury meets Nature. The Martinhal Beach Resort is a stunning 5* resort for those seeking a luxury hotel or villa beach holiday in the Algarve. The essence of the Martinhal Beach Resort and Martinhal Hotel is one of affordable luxury’ and genuine hospitality that offers outstanding value for money. What we say : Martinhal Beach Resort in the Algarve has stylish, contemporary architecture complementing the organic personality of this truly luxurious Algarve beach resort. 30% off on selected dates when you bring the grandparents in separate accommodation!!! Why not book your Martinhal holiday today. 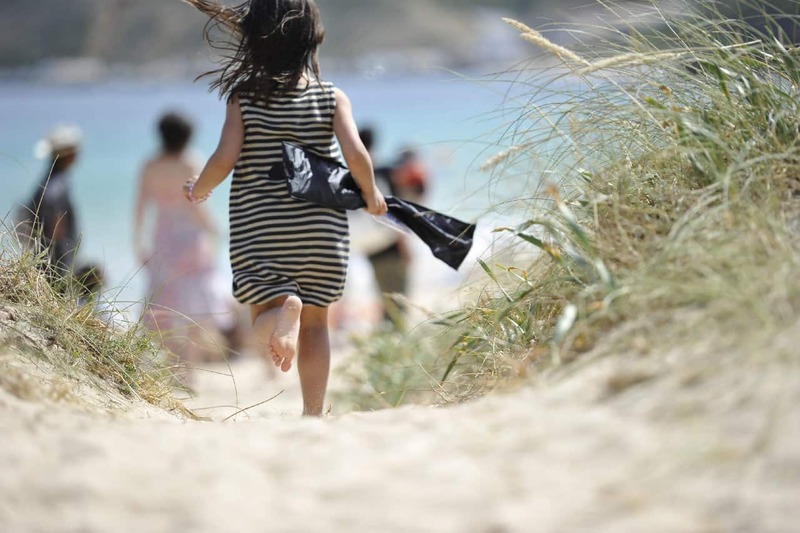 Martinhal Beach Resort Online Bookings on sale now – guaranteed availability, beat the rush ! So why not contact Design Holidays and book yourself a luxury Martinhal Holiday today at the Martinhal Beach Resort & Martinhal Beach Hotel. Latest News : Free WIFI when staying with Design Holidays at the Martinhal Resort. To book your Martinhal Holiday or to talk to one of our dedicated Martinhal Beach Resort booking team then then call 01444 87 2200. Please browse this website if you wish to find out more about the Martinhal Beach Resort or visit our dedicated website for the Martinhal Beach Resort. 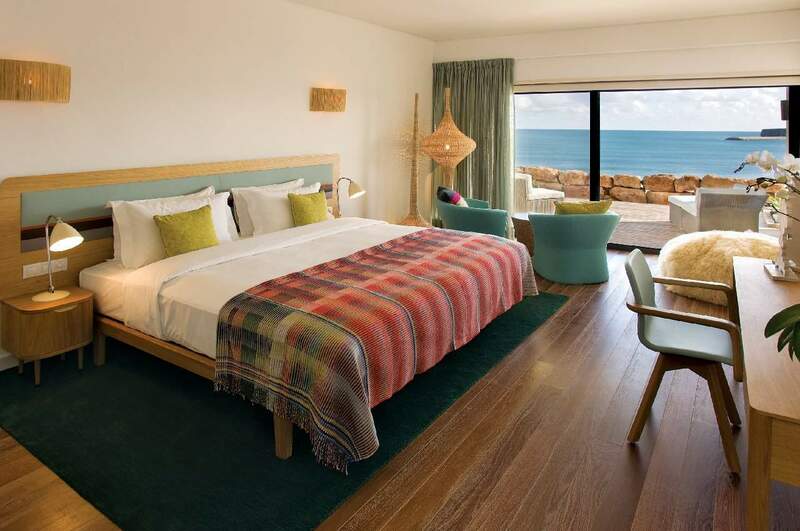 Carefully positioned within the grounds of Martinhal Beach Resort & Martinhal Beach Hotel, this luxury boutique hotel – the first 5 star property in the Sagres region – sits comfortably between the land and the sea, with a protected natural park as its neighbour. 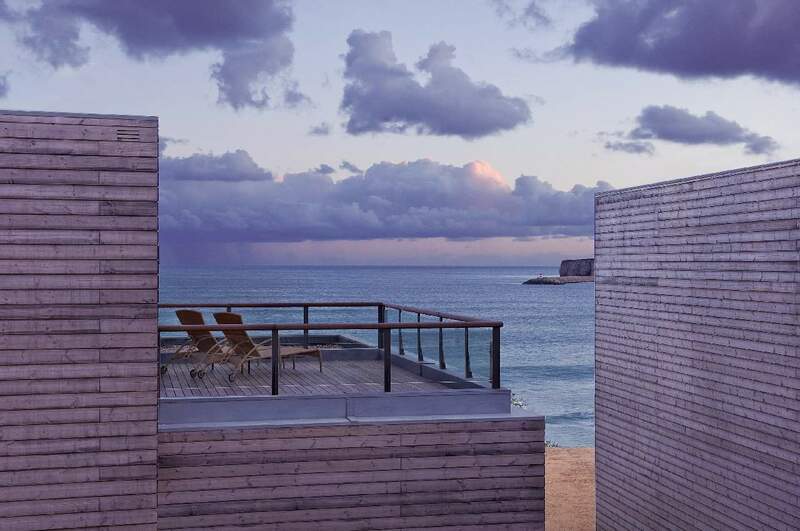 The architecture of the Martinhal Beach Resort combines a natural simplicity with contemporary style to create a building that appears organic, as if born to Nature. The 37 rooms, including two duplex Beach Suites, at the Martinhal Beach Resort all have private balconies or terraces that afford impressive ocean views. The Martinhal Beach Resort Hotel is ideal for couples of any age seeking an intimate retreat in hushed surrounds. Indeed, this is a hotel that inspires romance and passion. Martinhal Village Houses and Luxury Villas with Pools at the Martinhal holiday resort offer families spacious and luxury accommodation with self catering facilities, in a family friendly environment. The Martinhal Beach Resort hotel’s O Terraço gourmet restaurant offers a menu that is essentially Portuguese, but prepared with a modern flourish. Garden Houses at Martinhal Beach Resort & Hotel are the ideal choice of accommodation for parents with younger children looking for a luxury Martinhal Holiday. Arranged around an attractive parkland area, the Martinhal Beach Resort houses are substantial semi-detached Martinhal Beach villas set within a walled, private garden in a secure environment making them extremely safe for families. The living spaces at the Martinhal Beach Resort are all about comfortable luxury: function and form in harmony with elegance and sophistication. British furniture and interiors designer Michael Sodeau has triumphed with a combination of furnishings that are practical but stylish. Natural materials have been used throughout the Martinhal Beach Resort Villas: timber, wicker and cork, and local stone. The effect is the fact that the Martinhal Beach Resort Villas have a homely and organic feeling. Private verandas overlook a central feature of the garden – the Oasis Pool, a large free-form swimming pool. The views at the Martinhal Beach Resort also take in the surrounding countryside of the unspoiled western Algarve. A total of 39 Garden Houses are available at the Martinhal Beach Resort, with 10 one-bedroom Deluxe, 20 two-bedroom Grande Deluxe and 9 three-bedroom Master Deluxe options. The Bay Houses at Martinhal Beach Resort & Hotel are located on the eastern margin of the Martinhal Holiday Resort and are the most spacious and secluded properties in Martinhal Village. Rooms at the Martinhal Beach Resort & Martinhal Beach Hotel are furnished throughout to the highest standards by British designer Michael Sodeau, the Bay House character is sophisticated and functional but pleasantly understated. 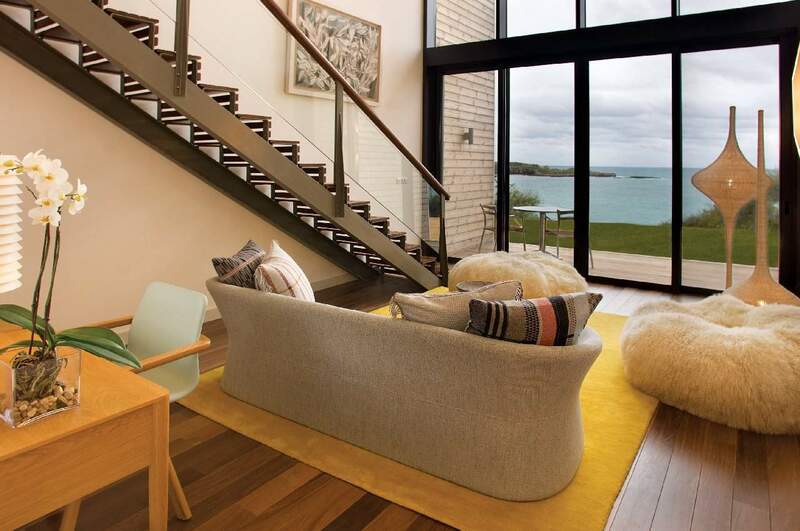 The use of traditional materials such as timber, cork and wicker add a natural dimension to the modern perspective. The holiday houses at the Martinhal Beach Resort & Martinhal Beach Hotel have been designed upside down, with living areas on the first floor to make the most of the unspoiled location. Furthermore, the holiday houses at the Martinhal Beach Resort & Martinhal Beach Hotel have an east-west orientation and allow the best views from both sides – with beautiful sunrises and spectacular sunsets. The stunning natural park is on the doorstep, but so is the hospitality and amenities of a luxury five-star resort making the Martinhal Beach Resort an ideal luxury holiday destination. A total of 12 Bay Houses at the Martinhal Holiday Resort are available to rent, with 6 two-bedroom Grand Deluxe and 6 three-bedroom Master Deluxe options. The Ocean Houses at Martinhal Beach Resort & Martinhal Beach Hotel command a prime position right at the heart of the Martinhal holiday resort. Carefully arranged in small terraced groups at the front of Martinhal Village, Ocean Houses are singular in their character and form. This holiday accommodation is upside down, with living spaces created upstairs to take full advantage of the incredible sea views. British furniture and interiors designer Michael Sodeau has created an exclusive range of furniture that is modern, attractive and functional. A natural, organic quality prevails with the use of materials like stone, timber and cork. Ocean Houses at the The houses at the Martinhal Beach Resort have their own private verandas where guests can enjoy al fresco meals overlooking the Atlantic Ocean and watch the sun set in splendour. It is an outstanding location: the beach is on the doorstep as are all the resort’s leisure and entertainment facilities making Martinhal the ideal holiday resort. A total of 55 Ocean Houses are available at the Martinhal Holiday Resort , with 49 two-bedroom Grand Deluxe and 6 three-bedroom Master Deluxe options. 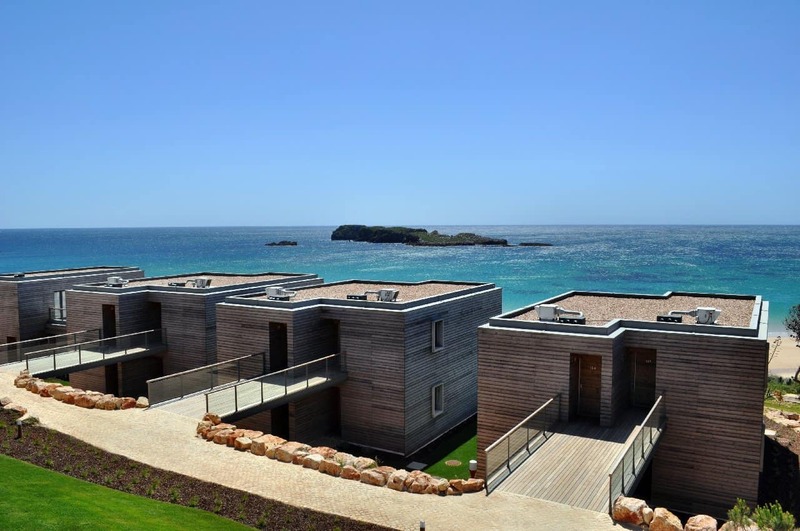 The Pinewoods Houses at Martinhal Beach Resort & Martinhal Beach Hotel number just 10 and are positioned in their own separate close. Arranged along the edge of a pine forest, these linked villas enjoy a select location but remain within easy access of the main resort facilities. Contemporary in appearance, the use of clean forms and lines underline a stylish simplicity that is also adopted inside. Interior décor is sophisticated yet functional. It’s unhurried and imaginative. British furniture and interiors designer Michael Sodeau has insisted on high quality materials throughout, and has used natural timber camping pods for sale, local stone and other products like cork and wicker to stamp the living spaces with an environmentally sound label. Each house at the Martinhal Beach Resort has its own small, private swimming pool that enhances a garden planted with wild, indigenous flora. Pinewoods Houses at the Martinhal Beach Resort appeal to families who appreciate a degree of seclusion but still like to be near the resort’s leisure and entertainment attractions. The exclusive collection of independently owned luxury villas at Martinhal Beach Resort & Martinhal Beach Hotel are located on the western area of the Martinhal holiday resort. The Martinhal Beach Resort villas have won a number of prestigious accolades including the Homes Overseas Award for Best Portuguese Villa and ‘Best Interior Design’. Each Martinhal Holiday villa enjoys sea views and is positioned in its own landscaped grounds overlooking a private garden and swimming pool, some of which are fenced for child safety. The Martinhal Holiday villas are distinguished by interior décor that unites a regional artisan look with contemporary function and form. Furnishings at the Martinhal Beach Resort villas are of exceptional quality, and stylish modern conveniences abound – many of the Martinhal Beach Resort villas have under-floor heating and most have air-conditioning. With all rentals, linen and towels are included. All guests who book a Luxury Martinhal Holiday villa through the Martinhal Beach Resort have full access to all the Martinhal Beach Resort facilities. The 23 luxury Martinhal Holiday townhouses located on the northwest side of Martinhal Beach Resort & Martinhal Beach Hotel are known as the Villas Mimosa. All of the Martinhal Holiday townhouses are independently owned and feature 2 or 3 large bedrooms and a parking space in front of the house. 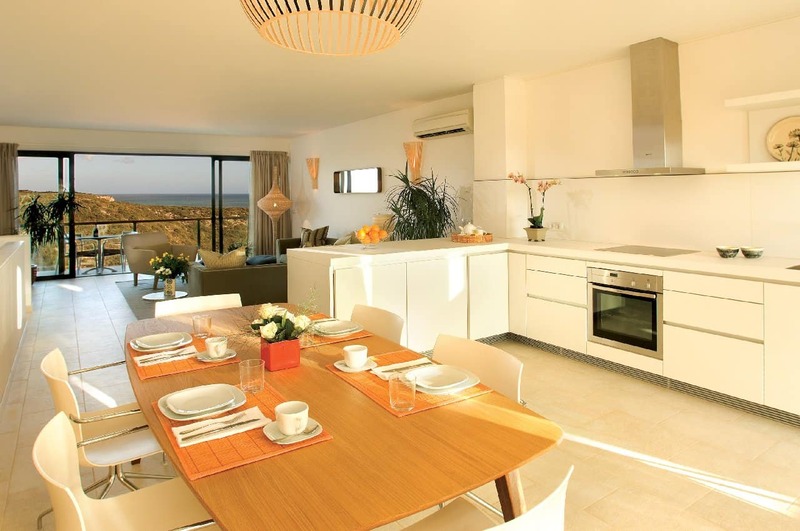 The Martinhal Holiday townhouses have impressive views across the resort, the Sagres peninsula and the Natural Park. Cosmopolitan in character yet maintaining an important sense of tradition, the Martinhal Holiday townhouses at the Martinhal Beach resort have been designed upside down: bedrooms and bathrooms are situated on the ground floor while a large open plan lounge and state-of-the-art kitchen occupy the second level. The interior speaks in a contemporary manner but the tone is measured. Comfort and quality are the central themes. Furnishings are stylish but functional. And all townhouses feature central heating and air-conditioning. Guests of the Martinhal Beach Resort Mimosa Villas have the use of an exclusive Clubhouse with an adjacent heated swimming pool and baby pool, both enclosed in a beautiful private garden. In addition, guests who book the Villas Mimosa through Martinhal Beach Resort have full access to all the resort facilities. So when not contact Design Holidays and book yourself a luxury Martinhal Holiday today at the Martinhal Beach Resort & Martinhal Beach Hotel. Martinhal Beach Resort and the Martinhal Beach Villas are set within a protected natural park. 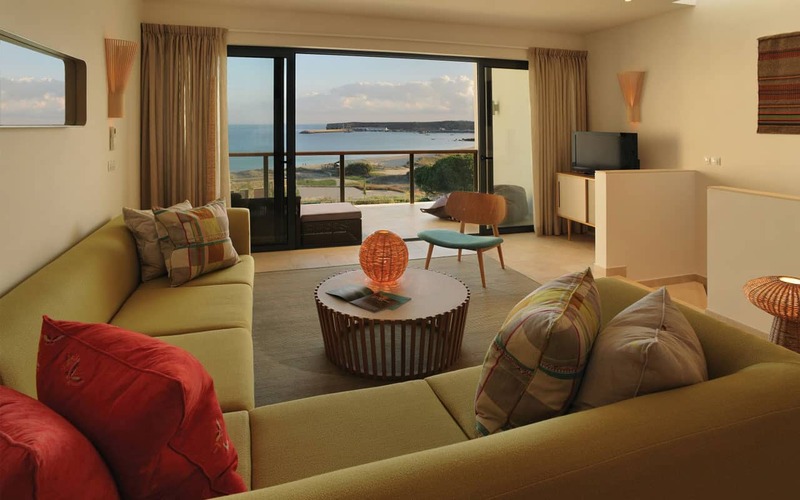 The Martinhal Beach Resort is located close to the historic town of Sagres on the Western Algarve in Portugal. Sagres is a town located in the municipality of Vila do Bispo, Algarve, Portugal and is only a short distance away from the Martinhal Beach Resort and Martinhal Beach Villas. The Martinhal Beach Resort and the Martinhal Beach Villas are situated in Portugal which is a country located in Southwestern Europe, on the Iberian Peninsula. Access to The Martinhal Beach Resort, the Martinhal Beach Villas and Martinhal Hotel is easy from most European airports. From Faro airport the Martinhal Beach Resort and Martinhal Beach Villas are about 110 kms away which will take about 1h 30mins. Guests at Martinhal Beach Resort can also fly into Lisbon (LIS) which is only 2h 30min away and Seville (SVQ) which is 3 hours away.